Almost 70 million Americans reside in the nearly 350,000 community associations in the U.S. It’s no surprise that those numbers are expected to continue to grow given the services, maintenance, safety, security, and amenities that accompany homeowners association living. Services like trash pickup, street paving, lighting and snow removal—which were once the exclusive province of local governments—are taken care of by community associations. Not only has privatization relieved local municipal budgets, but it has proven economically efficient for homeowners. Community associations provide an answer to the growing issue of sprawl and crawl, which is no longer confined to cities and surrounding suburbs. Planned communities offer a more efficient use of land than unplanned areas in which developments leapfrog over each other into any available space. These land-use efficiencies make homes more affordable for first-time homebuyers, retirees, and low- and moderate-income families. Under the leadership of volunteer board members, associations provide a safe, well-maintained living environment and preserve the community’s character. Cooperation and compliance are accomplished through governing documents that typically address architectural guidelines, such as additions, decks, and paint colors; as well as pet and parking restrictions. Enforced fairly and equitably by the members themselves, these documents guide the management and governance of the association. Whether it’s because associations offer clean, attractive, and safe neighborhoods—in large part due to effective rules that preserve property values—or the fact that associations seek leadership from governing boards and community managers who regularly go above and beyond to serve their communities, one thing’s for sure: Americans love their community associations. 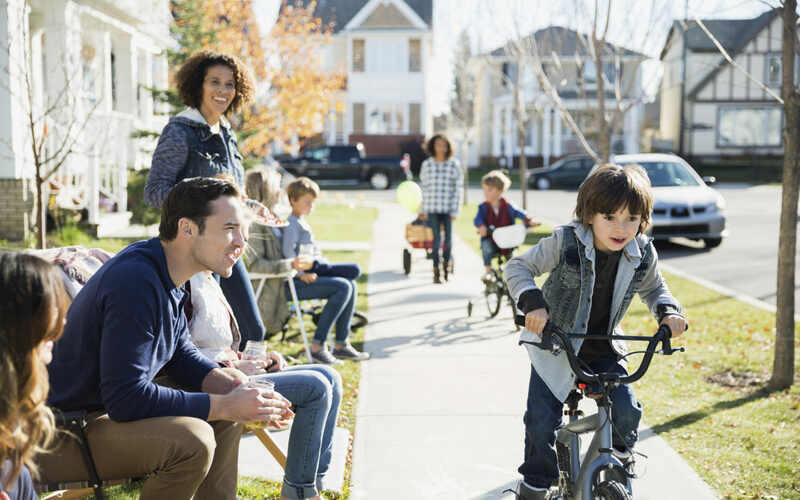 Check out CAI’s homeowners’ satisfaction survey to find out why association residents are overwhelmingly satisfied in their communities. Not everyone belongs to CAI. Re the survey, it is possible that there are association residents who are not overwhelmingly satisfied living in their communities. Most often this has to do with how the community is governed by the Board and the Management Co. as directed by the Board. Lack of communication is a major problem. Pennsylvania’s governor has just signed H.B. 595 which increases the scope of issues related to Pa. Planned Communities Act that can be brought to the State Attorney General’s Office of Consumer Affairs when efforts to address them with the Board have failed.